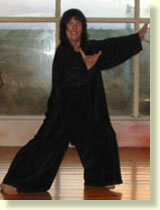 Your host, Lynn, first became interest in Tai Chi and Chi Kung in the early 1980s while studying dance and movement therapy with Leah Bartal. Since studying extensively with Dr Ming Chen Robertson and Jason Chan, Lynn has been teaching Tai Chi and Chi Kung courses in Europe and the UK for more than 20 years. At Via House she offers Island breaks and courses for all levels from beginners to advanced - encouraging beginners. Your Island Break combines wellbeing and relaxation with an enjoyable holiday, taking advantage of all these North Atlantic Islands have to offer. Lynn also offer bespoke retreats for individuals, creating a personalised programme, focusing on refreshing the mind, nurturing the body and managing stress and energy. 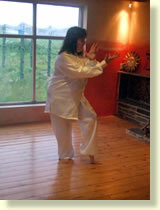 Lynn’s Four Elements Island Break programme incorprates gentle Tai Chi movement and Chi Kung deep breathing practice. By exploring the Four Elements - Earth, Air, Fire and Water - we rediscover and release the powerful natural healing energy within us. As our body’s energy network is part of the natural world around us, our programme includes gentle walking - seascape, landscape and beach trails. Go slowly, breathe and smile. 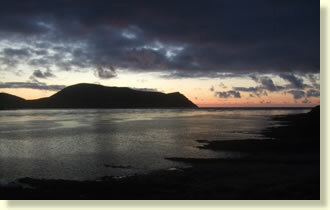 Your workshop itinery will leave you free time to explore Orkney and take advantage of the wonderful Orkney Fayre. Lying in the confluence of two great oceans, these Islands are renowned for their sunrises and sunsets, wildlife, ancient Heritage, Culture and Archaeology.... and nature permitting, the Aurora Borealis displays. Combine the heritage, natural beauty and wildlife with first class amenities for visitors of all ages, and you have a superb setting for your Island Break. Via House and Studio, set in 3.5 acres, surrounded by 360 degrees of landscape and sky, are located in the middle of the famous UNESCO World Heritage Site, including Skara Brae, the Ring of Brodgar and Maeshowe.